Here is a picture from an older shel-yad in which the AYIN & DALED of Shema' descend to the lower sirtut as described in your previous post. 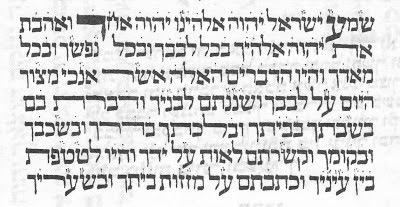 I believe, that both Hakham Ben Tzion Abba Shaul and Rav Mordekhai Eliyahu stipulated the above as a hiddur in order to comply with the directive of the Arizal that the SHIUR of the big DALED of SHEMA' should be that of four small DALEDs. 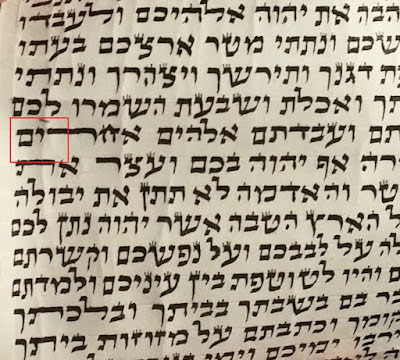 If one takes a look at the pictures of the older Sifrei Torah in your previous post, one will notice that they were meticulous as to not extend their large letters above the upper sirtut. 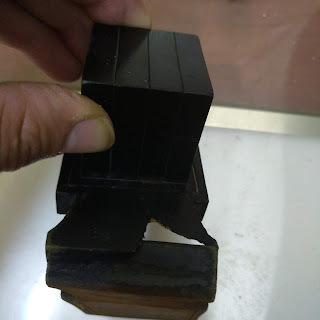 Since normal letters extend into the middle of the sirtut, the only way to maintain the requirement of the Ari was to double the size of the letter, thus extending the foot all the way down to the lower sirtut. We all know that the above is not explicitly required by halakha. The only requirement is that these letters should be slightly larger so that it may include at least four tiny DALEDs. More so, it is virtually impossible not to have tagin entering into the CHALLAL of the DALED. 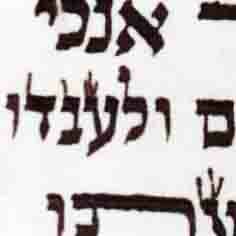 If one looks closely, even in the above case which I posted, the tagin of the NUN of NAFSHEKHA extend into the CHALLAL. The only redeming factor is that these tagin are small and thin + enter on the right side of the letter, thus rendering them inconsequential. Great pic. There are two halakhic problems with it. 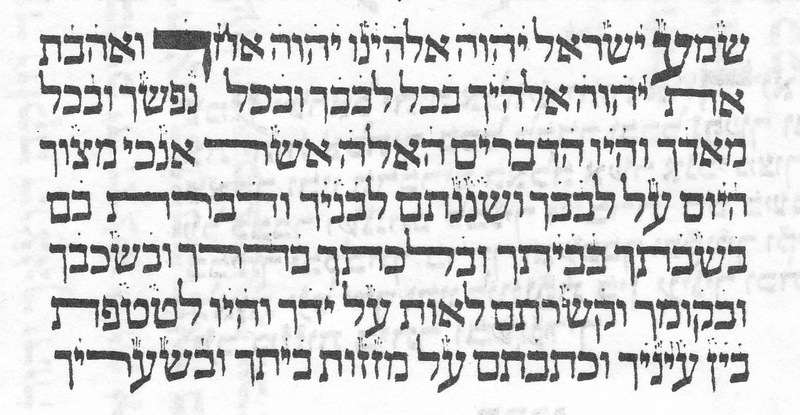 1) The tagin extend into the dalet, which for sephardic purposes is ossur. 2) The et needs to be in in the first line, makeing it not so easy to break up the second line.